Canada: how does the country's political positioning towards the US influence its performance in global rankings that measure talent attraction potential, public diplomacy and soft power strength, environmental sustainability and economic development? What influence have recent political developments had on the international reputation of Canada? Answers in this summary of global reports, studies and rankings on country performance, brand image and reputation. 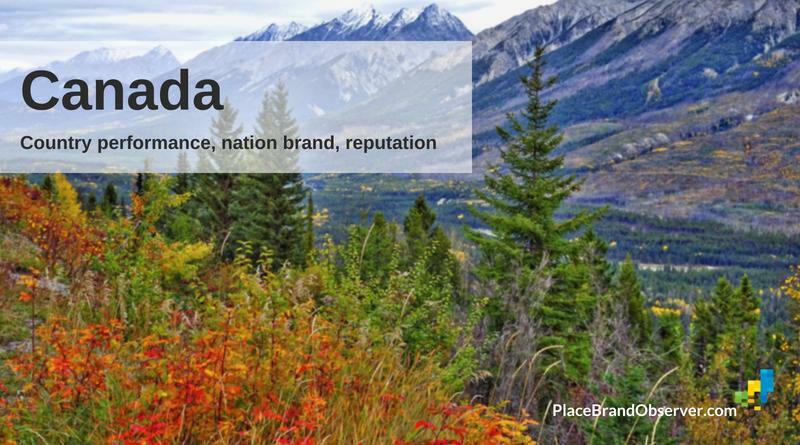 The reputation and performance of Canada as nation brand. What are the pros and cons of doing business in Canada? Canada ranks 18th in the 2018 Ease of Doing Business index. It performs best in the dimension of starting a business, where it takes 2nd place after the overall leader New Zealand. It also scores very high in protecting minority investors (8th) and in resolving insolvency (11th). On the other hand, Canada remains in the second half of the ranking for enforcing contracts (114th) and getting electricity (104th). Compared to the 2008 results, Canada’s performance has become considerably weaker over the last ten years, falling from 7th to the current 18th position. Canada’s ranking in the Global Competitiveness Index 2017-18 is 14th. Its strongest pillars in this index are the development of its financial market and labor market efficiency (both ranked 7th). Health and primary education also fit in the top ten (8th), while the country’s weakest pillar, the macroeconomic environment, ranks far lower (47th). Canada has shown a slight decline in this index, too, falling from 10th (2008) to the current 14th in ten years. Transparency International ranked Canada 8th in its 2017 Corruption Perceptions Index, awarding Canada with a high level of trustworthiness regarding the efficiency of its state institutions.